I exited the local bus at Fairview Mall in St. Catharines just as the GO Transit 15:07 express bus to Burlington turned the corner onto YMCA Drive and was gone. Not to worry; the 15:14 bus would be along shortly. Well, my watch ticked past 15:14 and then past 15:24. Something was amiss, so with time approaching 15:30, I called GO Transit. I had to “zero-out” to get a CSR; I was in no mood to listen to blah, blah, blah about York University. I asked the CSR where our bus was, as the trip was now about 15 minutes behind schedule. After being on hold for about 5 minutes, I was told the matter had been escalated to the CSR’s supervisor. After another 5 minutes, I was told the bus could not be located. I left my cell phone number and received a call back about 10 minutes later. The CSR told me they were attempting to scramble a relief bus, but if that option fell through, I would have to wait for the next scheduled bus at 16:44. Also, I was assured that I would not have to pay for my trip, as they had my name. I thanked her for the information, and then asked the CSR if the offer of a free ride covered to the other 20 to 25 passengers waiting for the bus. That question was met with silence followed by more time on hold while she consulted with her supervisor. When she came back on the line, the conversation got a little weird. CSR: I need you to do something. CSR: Keep track of who was there for the 15:14 pickup. They qualify for a free ride, too. Anyone who shows up now will be there for the next bus, so they won’t qualify. My inside voice: WTF?! I’m not a Metrolinx employee. You folks in the Ivory Tower have no idea how busy it is here in St. Catharines. Me: That won’t work, because there are too many passengers who ride the local transit on the platform. I have a better plan. I’ll tell those here a security code; let’s pick 1514. Whoever tells the driver “1514” gets a free ride. All you have to do is contact the driver and relay that information. After concurrence on the plan, we thanked each other and hung up. Here we are stranded in St. Catharines. A rescue bus with a rather surly driver arrived after 16:00 and took on passengers without asking for payment from anyone. We made all regular scheduled stops, although not one stop was announced. The interior next-stop display rolled “SORRY – NOT IN SERVICE” for the whole trip. We arrived in Burlington GO station in time to connect with the 17:37 Toronto bound train – an hour late. Our driver made no effort to open the cargo bay door and unload the luggage. That was left for me to do. During this trip I met some interesting folks. The gentleman who sat beside me on the bus recounted the afternoon he drove on the QEW behind the dump truck driver who ran his vehicle into the Burlington Skyway bridge last year. On the train, I chatted with a lady from Connecticut who had started her trip at 4:00 AM, had a side stop with family in Syracuse before joining our ill-fated crew in St. Catharines. I told her I was embarrassed, since GO Transit usually delivers their worst service when I meet someone from another country. And who can forget this fiasco? Operations, you get a CIT! 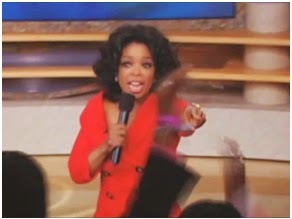 Resource management, you get a CIT! 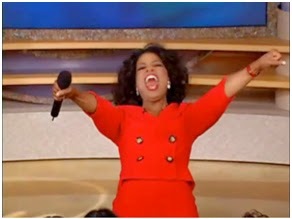 And senior management, for allowing so many Passenger Charter violations, you all get a CIT! CIT (Customer Information Tracking or Customer Interaction Tracking) – A record of substandard service by an employee and kept in their personnel file. Amateur hour. I hope you file a formal complaint and cc this website on all the responses. 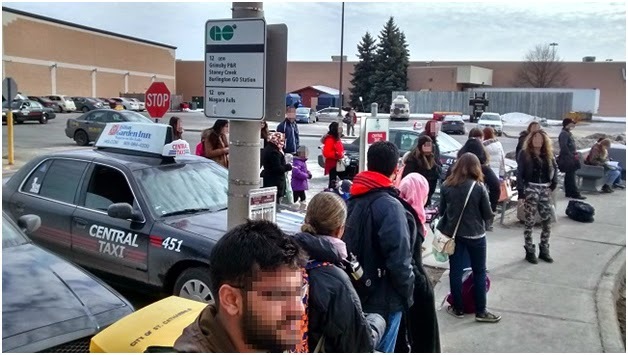 There appears to be a culture of excuses at Metrolinx and they need to step up and take ownership and fix these systemic problems. For years it's been happening on Friday's. Thank you for your suggestion. This article is my formal statement to GO Transit. I understand many at Metrolinx follow this blog. Writing an email to the president of GO Transit would merely elicit another perfunctory reply from Customer Relations. And the Friday Niagara Falls train was 59 min late.